It’s 1992, I’m submitting the manuscript for the publication of my first book. Anticipation is tinged with anxiety, an anonymous reviewer holds the power to launch or terminate my fledgling writing career. All fears immediately recede as I receive pages of positive comment and constructive critique. Many references are made to a newly published book ‘Case Management in Mental Health’ (he beat me to that title by 6 months) give away the source of the review. Steve never did anonymity very well! Fast-forward 22 years through my publications CV and I realize my latest book would benefit from an appropriate foreword from a recognized expert. They say ‘when you want something doing ask a busy person’, that should have been coined about Steve Onyett as he agreed unequivocally and produced a pitch perfect reflection of the book. Who else could get royalty and the act of farting into a mental health textbook with such skill? In 2009, while facilitating a team development workshop, I received two of the finest compliments I have ever received. Two senior and experienced practitioners enthusiastically told me how influential my book had been on their work. As they elaborate further it becomes clear to me they are talking about ‘Teamworking’, published by Steve in 2003. As I had been acknowledged in his book I decided to unashamedly bask in the reflected glory. Being Steve Onyett for a few minutes still ranks as one of my finest moments! He loved that anecdote when I recently revealed it to him, but couldn’t help but try to reflect any glory back to me. Steve had a particular modesty when it came to appraising his own work. In his relationship to others the word that comes to mind for me in describing Steve would be generosity. He gave of his time, but perhaps more important was the quality of that gift. Steve had a generosity of spirit that shone through his passion to understand and help people. 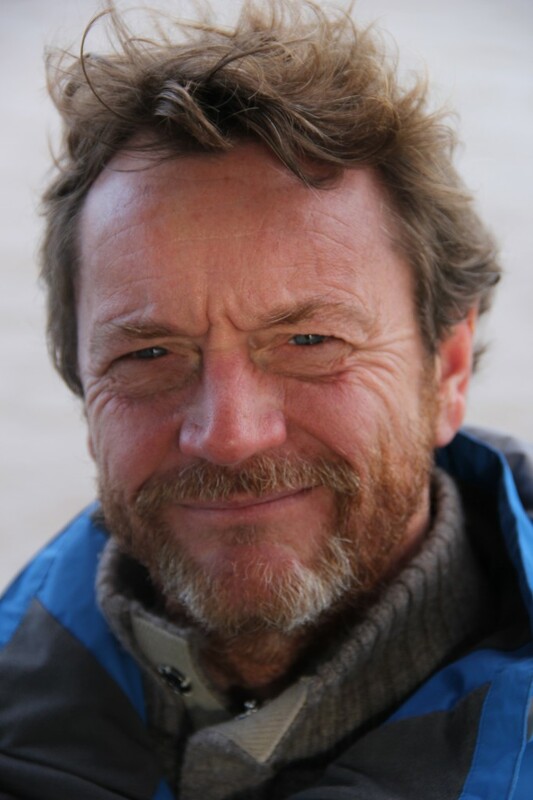 To describe Steve by his professional role of psychologist is to miss the point; he was a humanist who believed in the potential of others and dedicated his life to supporting and developing people. His choice of the Spanish word ‘Entero’ was apt for describing his passion for the whole person, supporting people to discover or recover their own solutions, identity and true place in the world. His conference presentations were dynamic and engaging, and his workshops were always a passionate process of exploration and discovery. Steve understood the stupidity of some of the systems we have created, but was always prepared to work within them to create better leadership and conditions for change. He infused everything he did with a big heart, but on 28th September 2015 that heart tragically failed him. I lost my greatest guide and mentor, and the world of mental health lost one of its brightest lights. To use one of his favourite words, knowing you Steve was truly ‘groovy’… rest in peace my dear friend. Working with Strengths is a consistent process of identifying strengths through a strengths assessment, leading to the identification of personal priorities. These priorities become the separate strengths-based support plans, but the identified strengths also apply in managing crises and concerns. In this episode this whole process is illustrated through the details of the case study of Aluna, an African lady arriving in London at a young age, but the victim of horrendous abuses. The case study illustrates how the initial information we receive sets up a very narrow and generally negative picture of a person. Time is the ultimate requirement in order to encourage someone to build trust and engage with services that can be of help and support. The process of engaging trust is most successfully achieved through a focus on a person’s capabilities, not by just keeping them focused on the problems and difficulties they experience. Aluna was very clear what she wanted, and how she could work with certain services to achieve her aims, but both she and the services held concerns that a strengths approach can also be adapted to resolve. “If you plan on being anything less than you are capable of being, you will probably be unhappy all the days of your life.” [Abraham Maslow]. When delivering ideas about a strengths approach I am frequently confronted by the need for practitioners to discuss their most extreme example of a severly depressed completely entrenched person who has no strengths. My immediate response is that everyone has strengths, just on some occasions it is a greater challenge identifying and developing them. The real failure of perception is to take the superficial picture as the whole picture. We need to dig beyond the surface in creative ways that respond to each individual and their personal circumstances. 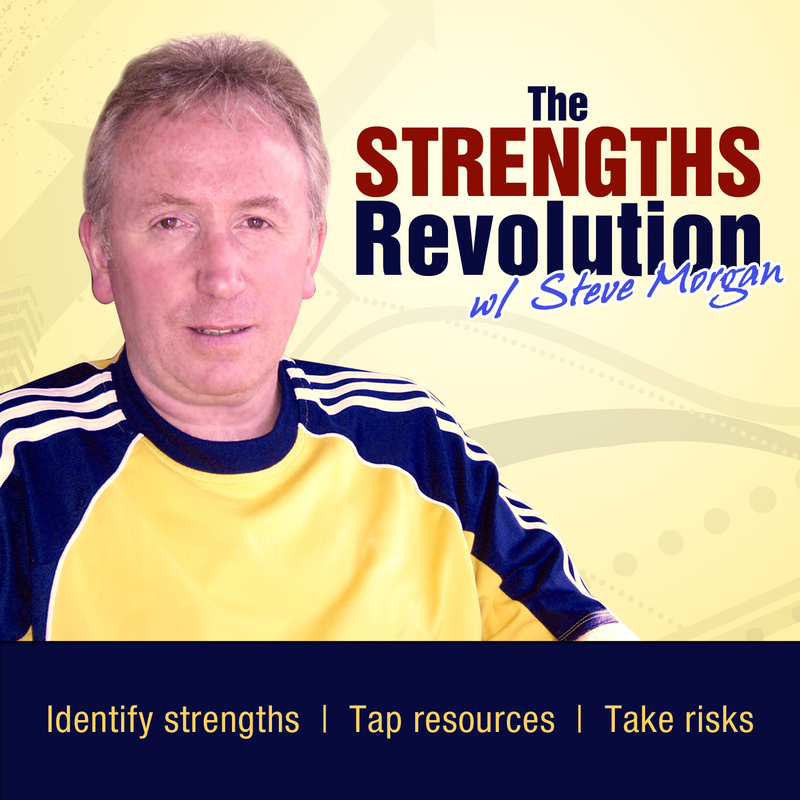 In this episode I outline 10 questions to keep in mind when the search for strengths proves most challenging. These questions have some similarlity with the approach adopted in Brief Solution Focused Therapy, with an emphasis on exception-finding, scaling, coping and what’s better types of questions. “Setting a goal is not the main thing. It is deciding how you will go about achieving it and staying with that plan.” [Tom Landry]. You may be a supremely spontaneous individual, but we all still need degrees of planning if we are to be confident of setting in motion the powerful action to help us in achieving our dreams and aspirations. In planning for achievement it is common sense to think that our strengths will be focal in the process, but they apply equally to plans for managing our concerns and crises. ‘Working with Strengths’ is a process that follows the path of strengths assessment to stated priorities to strengths-based support plans. In this episode I offer brief checklists of prompts to guide the construction of strengths-based plans for achieving our priorities and for managing our concerns. It is the application, not just the identification of our strengths, that enables action and positive change. These checklists should apply equally to personal reflection or to our work in supporting others. “To accomplish great things, we must not only act, but also dream; not only plan, but also believe.” [Anatole France]. How do we go about constructing a strengths assessment? Whether it be reflecting on our selves or working with other people, it is a flexible process developed over time, not a function to be mandated, timed and audited by a managerial approach. For ourselves, it happens as and when we give ourselves time for reflection. With others, it is best achieved through an informal, conversational approach where the other person feels most comfortable; or it emerges from snippets of conversations over a period of time. The focus is to build a positive picture, that can then be applied to achieving the goals we set for ourselves, or others set for themselves. It can be prompted and supported by paper or electronic forms, but they are purely supportive tools not the end purpose. It can be developed by and within teams, but the key is always to be engaging the fullest involvement of the specific person who is the subject of the strengths assessment. 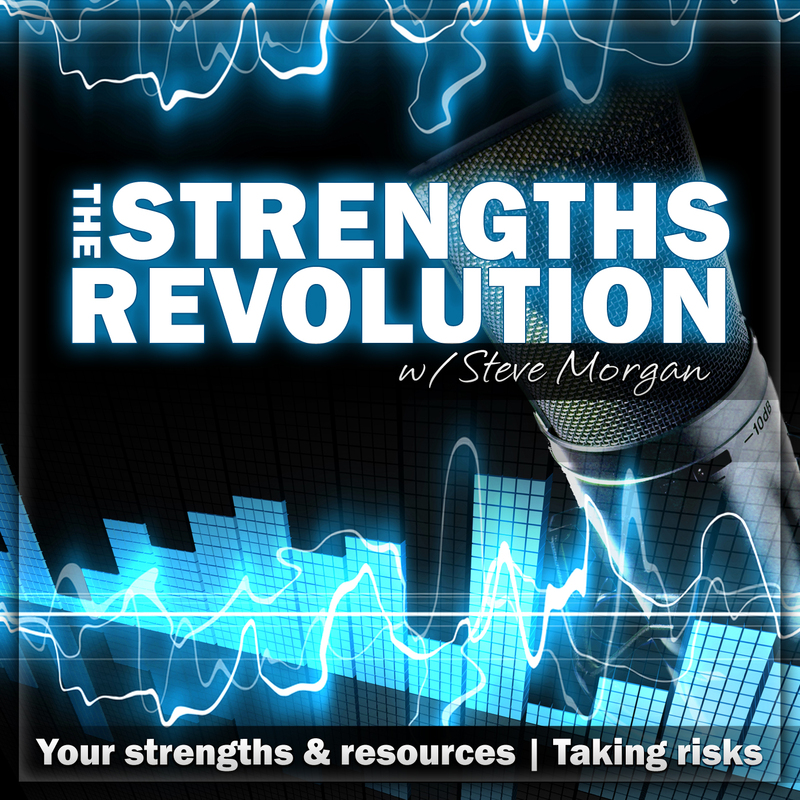 In this episode I outline the five main areas of consideration for developing the practice of constructing a strengths assessment. “Over the years I’ve learned that a confident person doesn’t concentrate or focus on their weaknesses, they maximise their strengths.” [Joyce Meyer]. I use three of my own favourite experiences of being a part of teams that have made significant achievements in their own local ways, both as a personal reflection and as an illustration of the 15 messages identified in the book. Five further messages are explored in this episode, in addition to the five messages in episode 55 and a final five messages in the next episode. I reflect on the excitement of starting from scratch in helping to develop a new idea, and how great groups feel like they are on a mission, and develop a sense of separateness from all the other services around them. “Find people who share your values, and you will conquer the world together.” [John Ratzenberger].